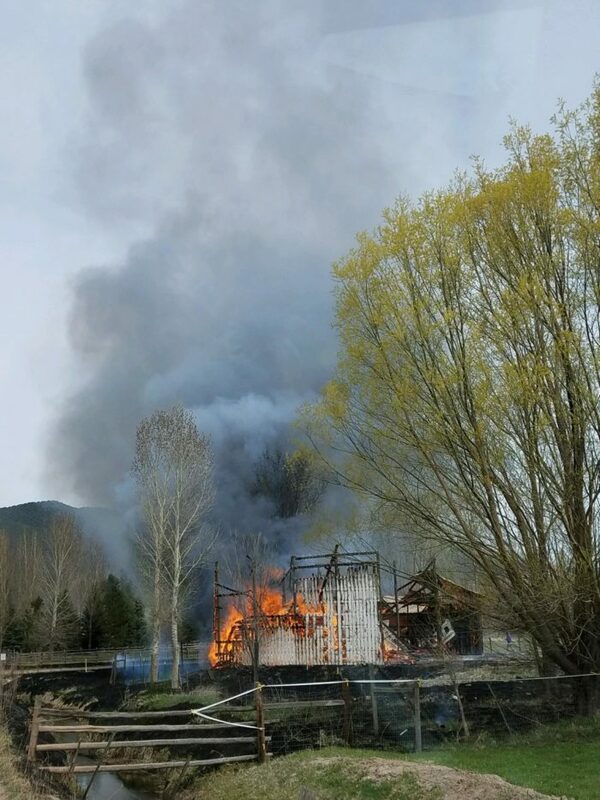 Carbondale, Colo. – Around 11:45 a.m. on April 7, 2017, Carbondale & Rural Fire Protection District was paged to 302 Goose Creek Lane, Carbondale, for a report of a structure fire. 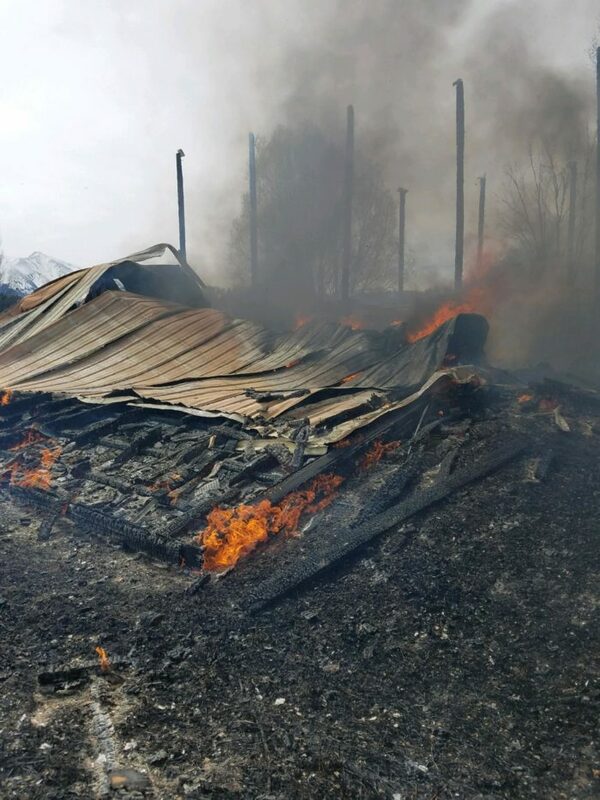 Upon arrival, firefighters found a barn that was fully engulfed in fire. The structure collapsed shortly after the firefighters’ arrival. There were no people or animals in the barn when it collapsed. Reports from people on scene state there was a controlled burn in the area that possibly got out of control due to wind gusts. Incident Commander Mike Wagner said, “The entire barn was on fire when we arrived on scene. The crews and citizens did a great job of keeping the fire from spreading, especially as there were windy conditions. 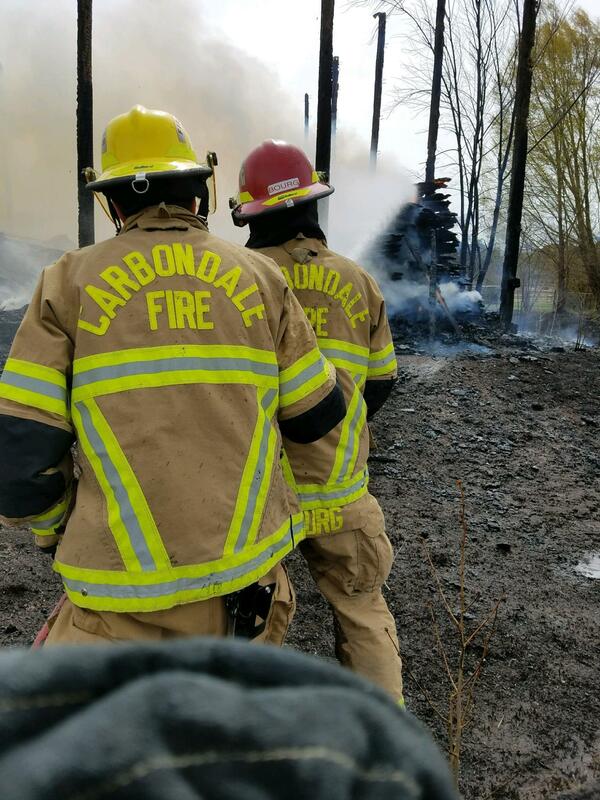 The fire is being investigated by Carbondale & Rural Fire Protection District, but it is not believed to be suspicious. No loss amount has been determined at this time, but the barn is a total loss. There were no firefighter or civilian injuries. Carbondale Police Department, Basalt Fire Department and Garfield County Sheriff’s Department also responded to this incident.